The last day always comes with so much pressure! When I struggle to find something I want to post about other days, there's even more need to find just the right thing for the last day, because there's no more chances! In the same way I love my fish and aquarium downstairs, I think I would really enjoy an easy-to-maintain plant for my office windowsill. I'm not sure how hearty these air plants are, but I need something that can tolerate the cold breeze by the window. I considered the zombie chia pet for a few minutes, but this looked a bit more soothing. 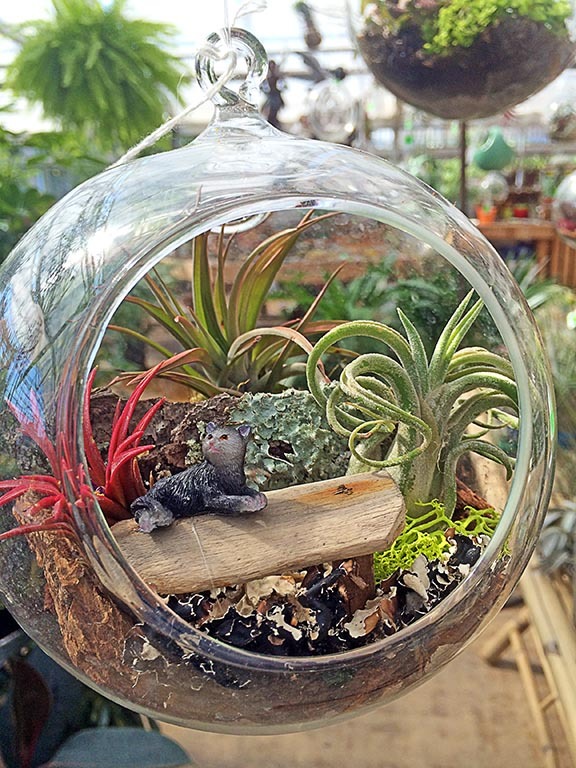 If an air plant isn't going to make it without lots of warmth, another hearty plant will surely do just fine. Just a little living company next to me - a bit of inspiration and focus when I'm trying to buckle down and get my office work done. LOL, what is a zombie chia pet? My air plants are still doing well outside even though I haven't brought them in or watered them. Easy! I cant do any type of plants whatsoever! LOL this is super cute though!